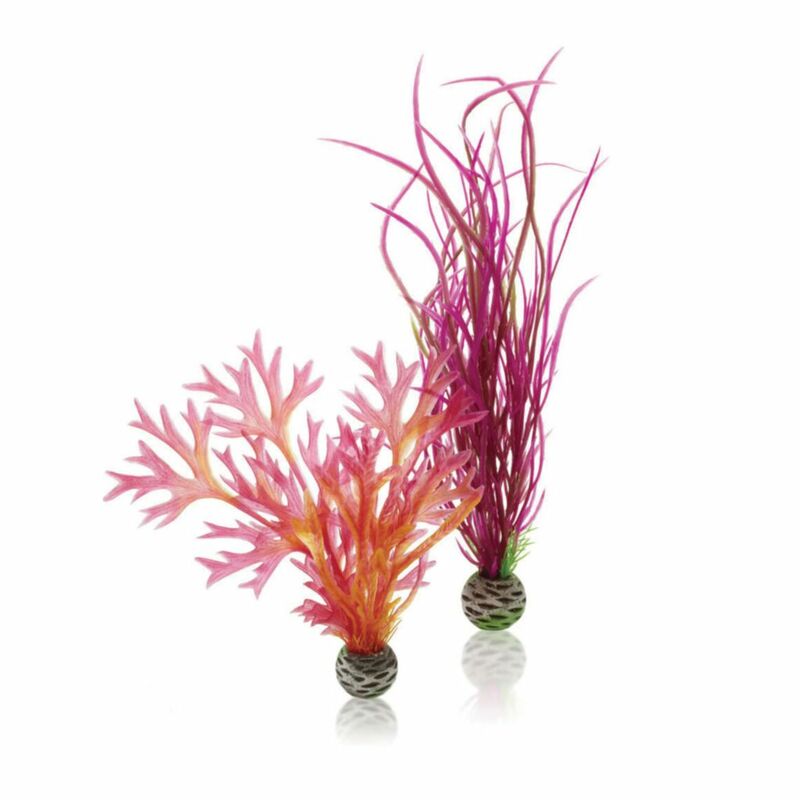 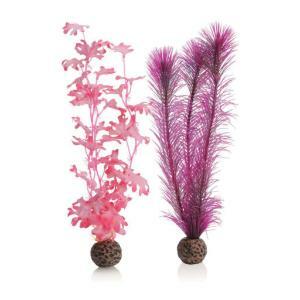 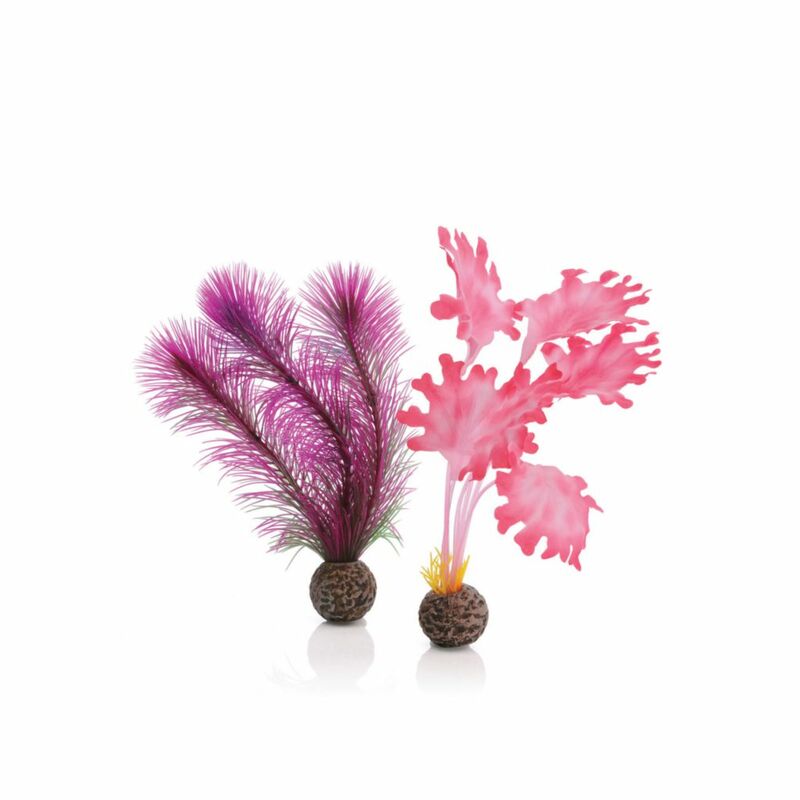 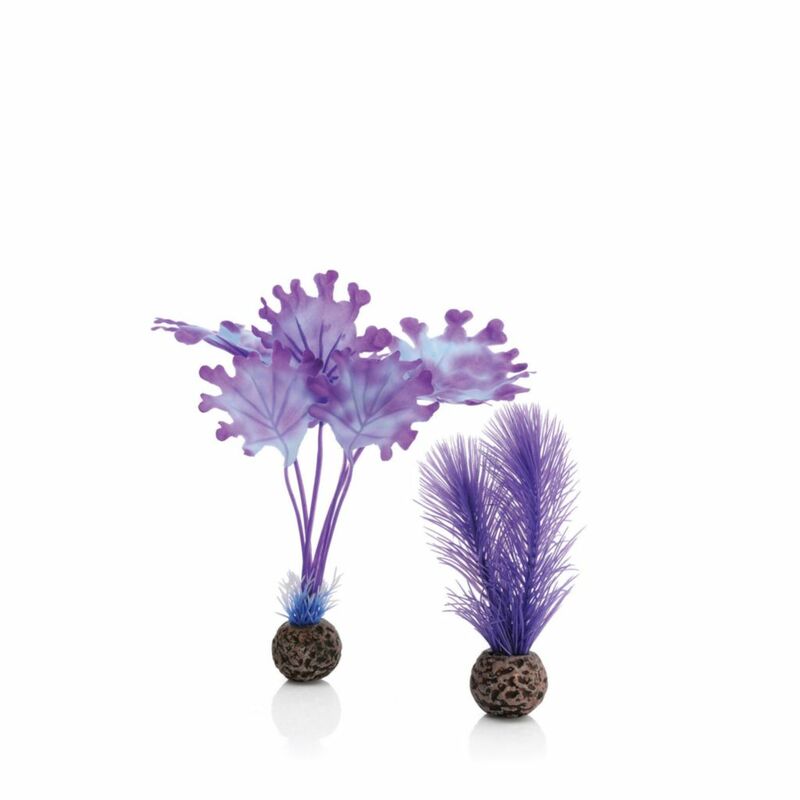 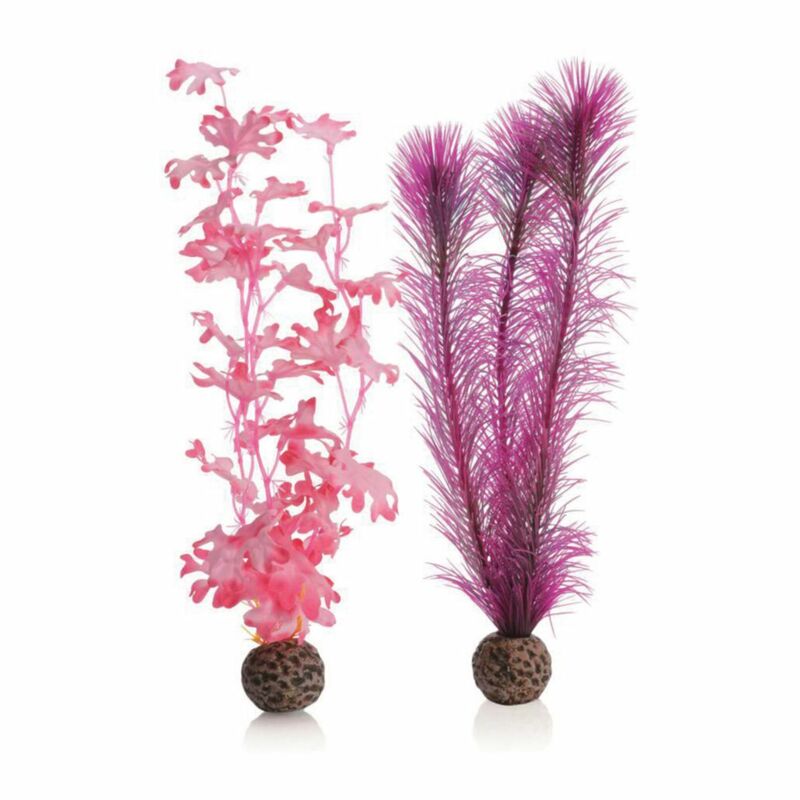 Quickly add beauty to your aquaria. 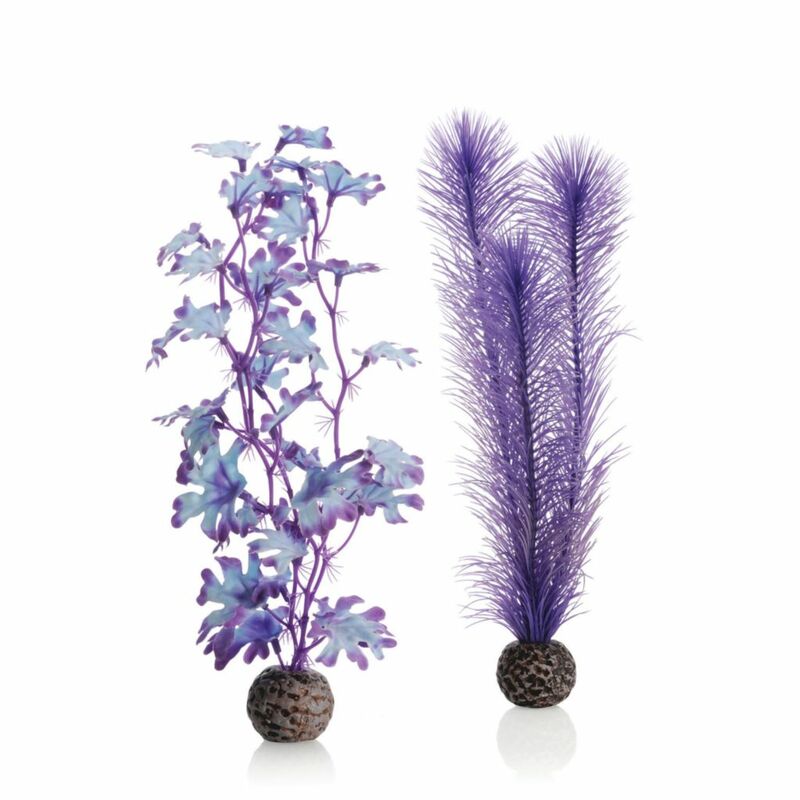 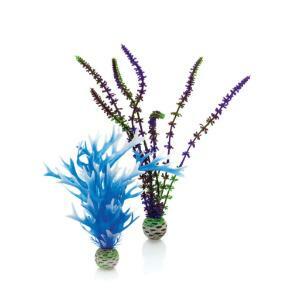 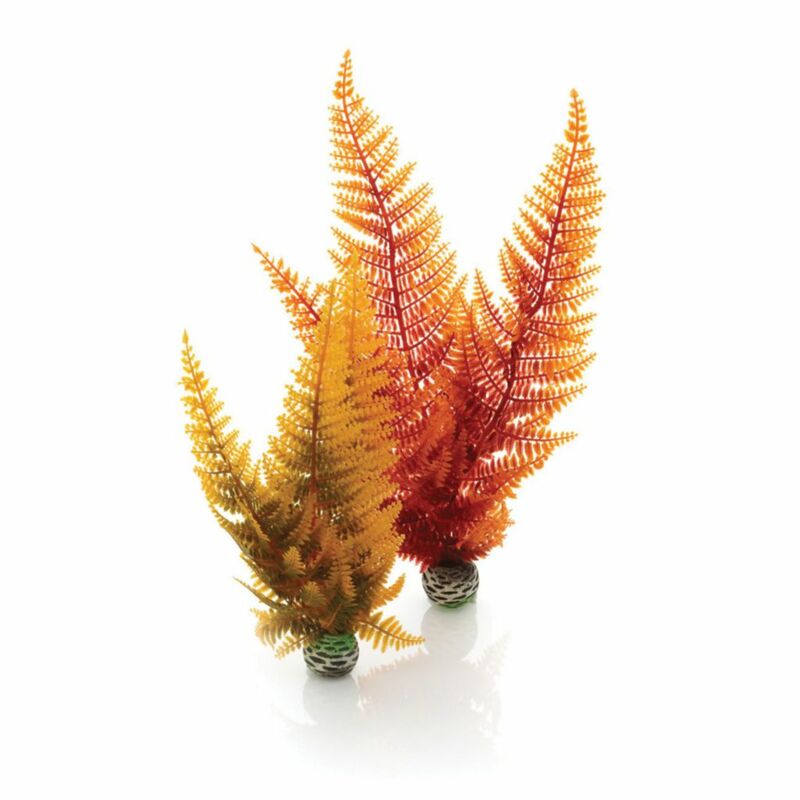 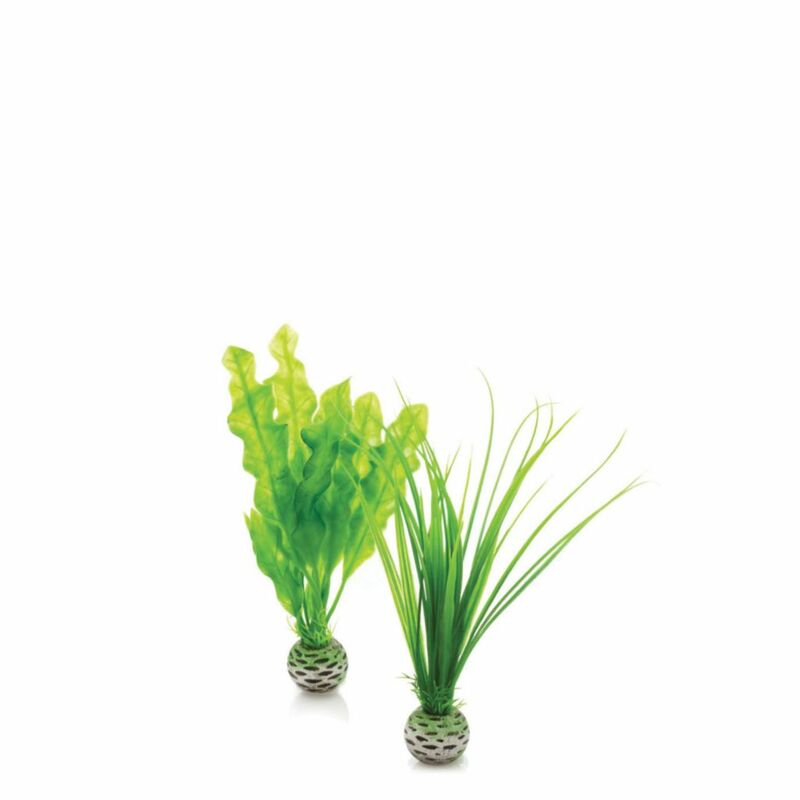 The biOrb® Easy plant packs are a range of plastic plants designed for use in the biOrb®. 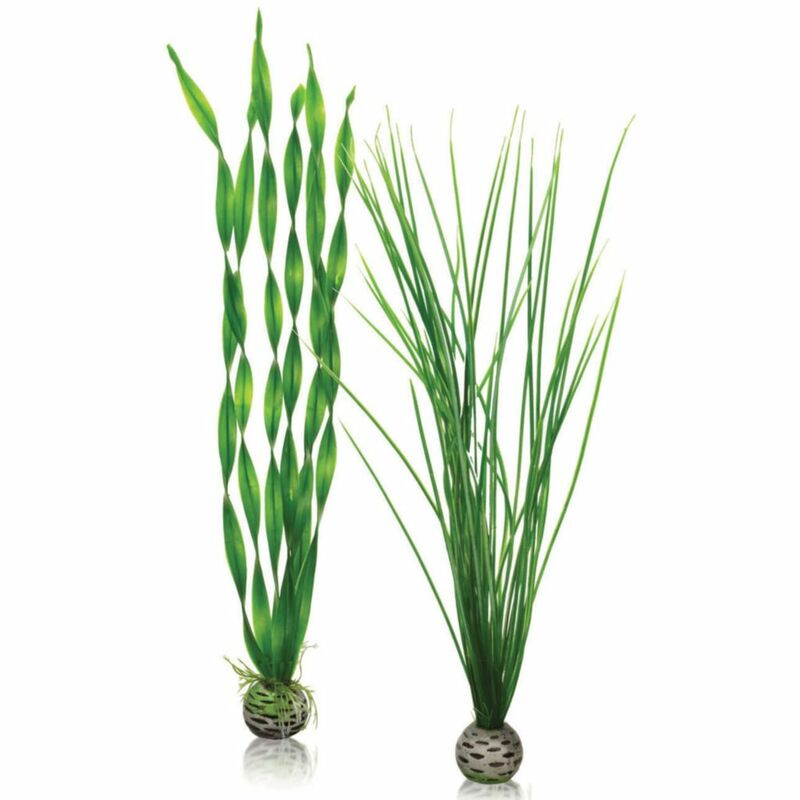 Instead of a large plastic base these plants have a smooth weighted ball which is easier to fit into the ceramic media in the biOrb® and holds it in place. The large pack is suitable for 16 gallon/60 l and larger biOrbs. 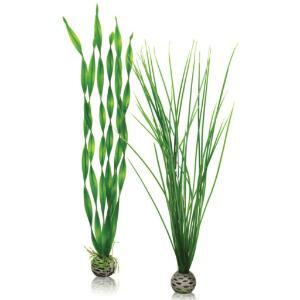 The height of the tallest plant in the twin pack is 15.35"/39 cm, and the base width is 1.57"/4 cm. 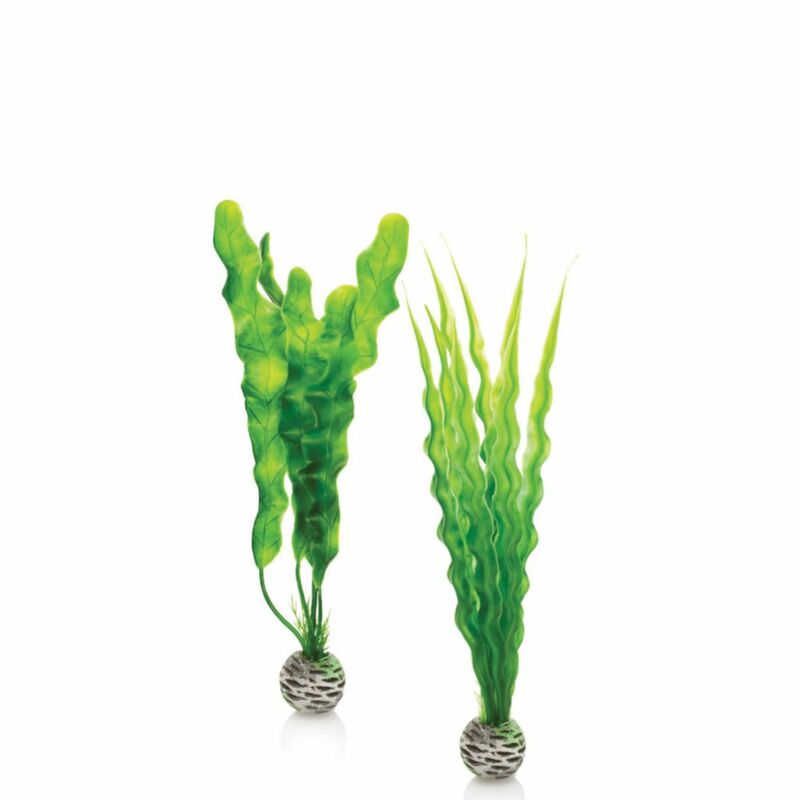 The medium pack is suitable for 8 gallon/30 l and larger biOrbs. 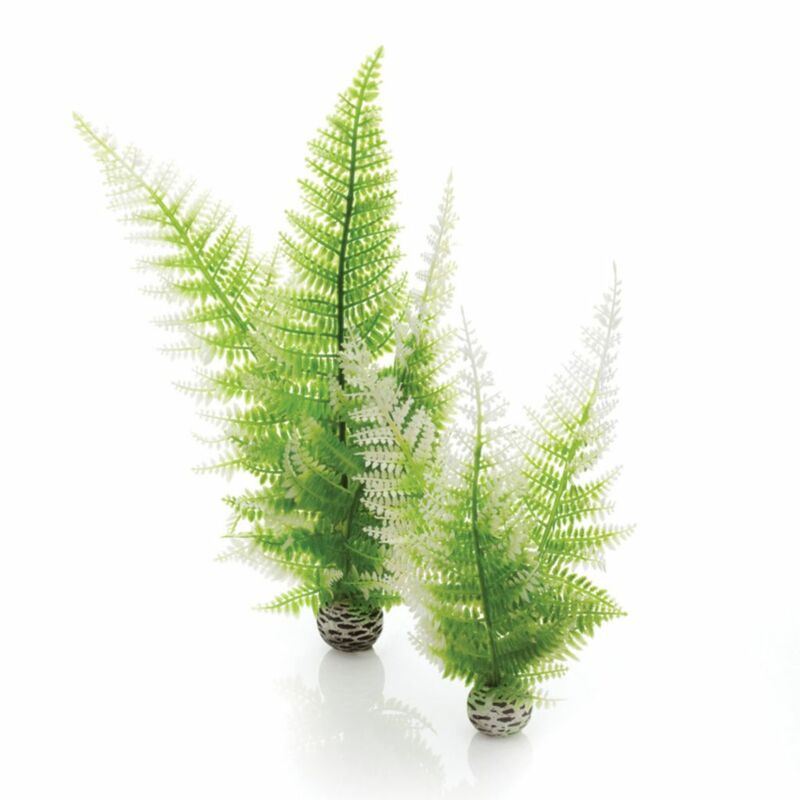 The height of the tallest plant in the twin pack is 11.42"/29 cm, and the base width is 1.5"/3.8 cm. The small pack is suitable for all biOrbs. The height of the tallest plant in the twin pack is 7.87"/20 cm, and the base width is 1.38"/3.5 cm. 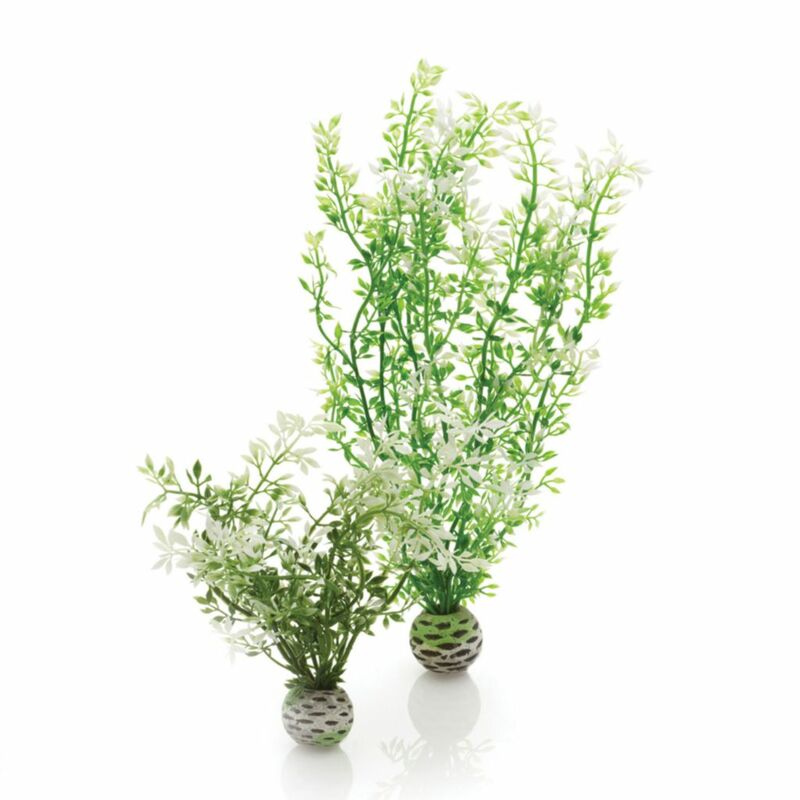 Delivery information: Each set includes two plants.